Simply put, bridges help us overcome obstacles and make connections. Of course, the greatest bridge-builder, spiritually speaking, was Jesus. By his death on the cross and resurrection from the dead, he overcame the obstacle of our sin, spanned the chasm of our estrangement from God, and opened the way for connection to our Creator through repentance and faith in him. Now, as his representatives, we are to be bridge builders too! Empowered by the Holy Spirit, we have the privilege and responsibility to build bridges of love and friendship to those who have not yet connected to Christ and the church. Bridges are built when we notice. Bridges are built when we care. Bridges are built when we serve. Bridges are built when we invite. Bridges are built when we introduce. Bridges are built when we include. Bridges are built when we share the gospel. Of course, bridge building is expensive. Always has been. But it’s worth it. It honors God and enriches our lives. 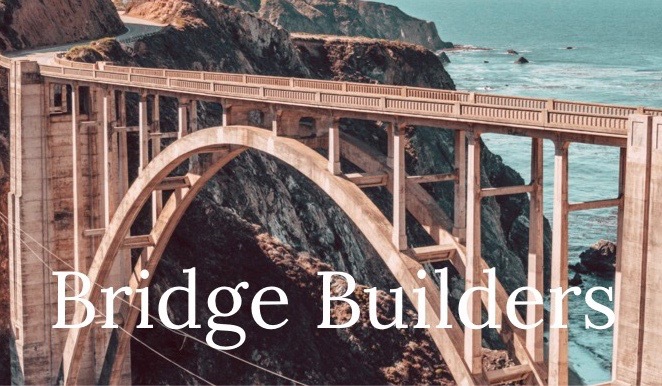 Will you be a bridge builder?